Renew your membership for 2019! 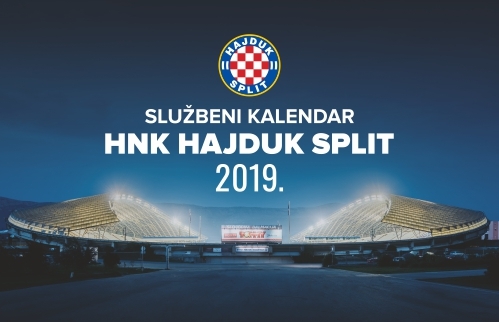 All news related to the topic "Hajduk - Dinamo (Z) 0-1 (Split, 3/4/2019)"
90+5 End of the match at Poljud. Hajduk - Dinamo 0:1. 90+5 Hajduk got into a great chance right before the end of the match. Jurić tried a header from 10 meters, it went wide. 90+1 Sahiti shot from 18 meters, his attempt was blocked. Corner kick for Hajduk. 90 Five minutes of added time. 83 Dinamo's last substitution: Šitum on, Oršić off. 77 Šunjić pulled Caktaš's shirt for a while and Caktaš hit him in the face. Referee Batinić sent Caktaš off, Šunjić got cautioned. 75 Tudor passed to Caktaš, his shot from 15 meters went off target. 74 Dinamo substituting Gavranović for Petković. 66 Hajduk made substitution: Sahiti on, Jradi off. 66 Caktaš tried a header after a corner kick but it went wide. 62 Dinamo's first substitution, Moro on, Kadzior off. There are 26 446 spectators at Poljud today, of which 1456 on the Family stand! Thank you! 55 Hajduk had a good chance to score now, Nejašmić shot from 20 meters but his attempt was blocked. 52 Caktaš tried to surprise Dinam's goalkeeper from distance but his attempt went wide. 47 Nejašmić shot from 25 meters, it went wide. 46 The second half has started, Hajduk made one substitution during half-time, Ivanovski instead of Juranović. 45+1 End of the first half. 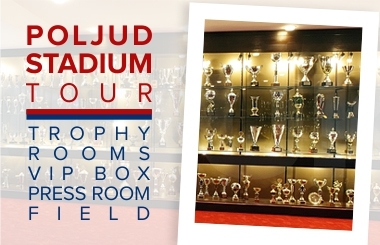 Current result, Hajduk - Dinamo 0:1. 45 Three minutes of added time. 43 In the last ten minutes, most of the game takes place in the middle, there were no goal chances. 32 Jradi shot from 20 meters, Livaković saves. 28 Nejašmić passed to Bradarić, his cross went out of the field of play. 22 Ismajli tried a header after a corner kick but it went wide. 21 Jradi passed to Caktaš, who shot from 15 meters but Theophile blocked. Corner kick for Hajduk. 15 Kadzior threatening Hajduk's defense but Nejašmić reacts well and clears the danger. 10 Oršić dribbled along the left side and shot from some 15 meters, wide. 8 Hajduk is attacking from the first second, most of the game takes time on Dinamo's half, no danger from the away team so far. 6 Caktaš hit the defensive wall, Tudor was on the ball but he fell down after a contact with a player of Dinamo, no reaction from referee Batinić. 5 Jairo fouled at 17 meters, free kick for Hajduk. Theophile cautioned. 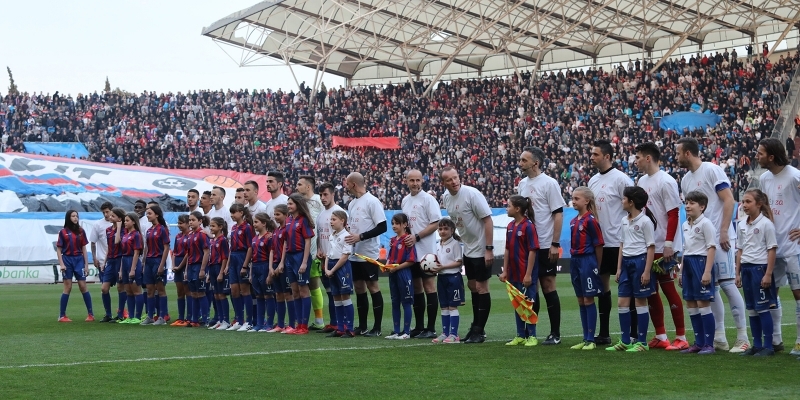 1 The derby Hajduk - Dinamo has started. 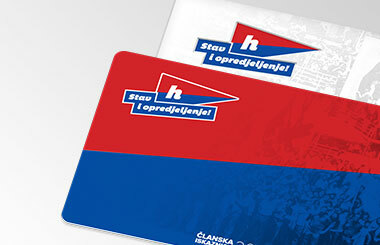 Good luck Hajduk!